I'm 34 years old and was born and raised in Cambridge, England. I studied my GCSEs and A-Levels in Cambridge, before going to Brunel University (West London) where I studied Mathematics & Statistics. I worked for London Underground from 2003-2014 in various roles (see below). I'm a Professional, organised, fun and friendly individual. 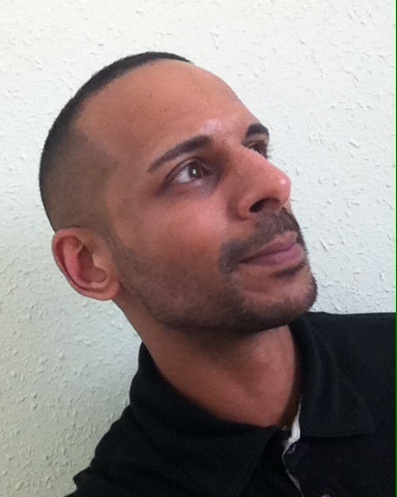 Languages: Panjabi & Hindi - Fluent, French - Intermediate Extremely proficient in MS Excel, MS Word, PowerPoint & Outlook. I started my PGCE at Cambridge University to teach GCSE Maths. Unfortunately, due to personal circumstances I was unable to complete the course. During this time and also prior to the course, I spent many hours doing work experience in Primary Schools (England). During my employment with London Underground, I was an IT (SAP) Trainer for a year. I trained in-house staff on using the company database. The need to learn foreign languages is almost as old as human history itself. Over time, numerous methods and approaches on how best to learn and teach languages have been developed from around the world. However naturally, the way we teach languages has evolved and continues to do so. The one question that is asked when deciding on a person’s ability or proficiency in English Language is; “Do you speak English?” This is equally true when used as a Skill Requirement (e.g. for job applications), “Must speak English”. The keyword here is “Speak”, the ability to communicate verbally in English. However, being able to communicate requires knowledge and understanding of its foundations, Grammar and Vocabulary. I believe contemporary foreign language teaching is mostly informed by learning through communication and this is true whatever the age and motivation of the learner. In my assignment, I will therefore design my own approach to teaching English, based on Communicative Teaching. I will focus my analysis on some of the existing Communication Teaching methods, as well as from drawing on my own personal experiences of learning and teaching a foreign language. The Communicative Language Teaching Method differs radically from the other, older approaches to teaching English as a second language that have tended to dominate language teaching over the years. Most of these methods (for example, The Grammar-Translation Method) involved students, who having memorised the grammar and vocabulary were not able to put them into practice. They were not given the opportunity to expand their ideas, initiate questions or reinterpret what had been presented to them and consequently they could not communicate. I will start by looking at the Suggestopedia Method. Suggestopedia focusses on eliminating negative barriers. In order to achieve this, it uses music, creates a comfortable and relaxing environment, and a relationship between the teacher and the student. I strongly agree with making the students feel comfortable and confident. The use of music during the process of learning, in my view and experience, can create the kind of relaxed states of mind for maximum retention of material. However, the use of music can also be viewed as a disadvantage; not everyone has the same taste in music. Furthermore, for some people who cannot study in a noisy class/environment, this could potentially be a distracting element. Another disadvantage in my opinion is the use of posters on the wall and decorative items on show, such as flowers or aquarium in the corner of the class. Suggestopedia claims that by using posters containing motivation words and new vocabulary, the students will always learn when they look at them around the classroom. Would this make the students’ mind relax? Possibly, but again I believe it to be a distracting factor. Suggestopedia also allows and uses native language translation to make the meaning of the dialog clear. I view this as a completely natural process. Learners fall back on their mother tongue to help create their language system. This is now not recognized not as a mistake, but as a process that all learners go through. The second approach of interest to me is The Communicative Approach. The aims of this method are overtly connected with communication and great emphasis is placed on training students to communicate in different situations in everyday life. The approach states that teaching grammar and vocabulary without a context is not effective. I absolutely agree with this and am of the same opinion, when the Communicative Approach further says "Not all mistakes need to be corrected: the main aim of language learning is to receive and convey meaningful messages, and correction should be focused on mistakes that interfere with this aim, not on inaccuracies of usage." Some may view this as problematic as it raises the issue of accuracy. However, I believe errors should be tolerated and treated as a natural part of the development of oral skills. Overall, students are given an excellent chance to practice all the structures they will need to use in real life situations. Having observed and taught The Oxbridge System first hand, I can say with confidence that it is an extremely effective system and works well for both the teachers and learners. My only two criticisms of the system is firstly, that no native translation is contemplated. Unlike the Suggestopedia Method, where native language translation is used to make the meaning of the dialog clear. To re-iterate, native translation is a natural process that all learners go through and adopt. Secondly, Activities used in the system have no Semantic Field (except at S1 Level). Links have to be created by the teacher to provide a natural flow of activities during each lesson. All English language used involves language functions such as inviting, agreeing, disagreeing etc. and Grading is used accordingly. Students are given enough exposure to the English language and ample opportunities to use the language for learning to actually take place. Translation is permitted, simply as it will occur naturally, whether it is done verbally or subconsciously. I believe it is necessary for the purposes of understanding, in terms of personal concept checking. Error correction is only used for main and repeated errors. Offering praise as a genuine reward. Each lesson and all the activities within, will have a semantic field – which provides a natural flow/link. For example, themes/topics such as; Travelling (Holiday, Public Transport), Shopping, Home (Cleaning, Cooking), Family, Going out (Cinema, Restaurant), Health (Doctor/Dentist), Table Talk/Making Arrangements (Meetings/Social Events), Stages of Life (Child, Teenager, Adult). Students are provided with carefully selected and very versatile Target Language (vocabulary) that can be used in many communicative situations. The idea behind this method is that people learn languages in order to communicate and not to simply know the rules of grammar without being able to use them practically. Adults and children learning English are given the chance to use ‘real English’ in a classroom setting through role-playing, language games, discussions, technology-based activities and other activities. ‘Real English’ refers to the language used in real life situations. Some might think that all English is “real” but in fact, many textbooks use stale or outdated vocabulary and situations. I’d supplement my teaching materials with current authentic language materials such as television and film clips/extracts, articles from magazines and newspapers, and conversational opportunities with native English speakers. Involving the students physically in all the lessons. Role playing, simulations, group work and student presentations are all ways to have the students physically interact with the language. For example; I’d have the students practice grammar drills in groups. When learning verbs or idioms, I’d have the students act out the meanings. Because English is a tool for communication, students learn best when they learn actively as opposed to passively. To achieve this, I believe group work is very effective. It is important, however, to mix up the members of the groups often so that students are constantly being challenged to use English with different people. This will keep the students on their toes! I believe learning by doing is one of the most effective methods for teaching English. I’d try to simulate real life situations for the language as much as possible by incorporating things that support meaning. For example, when teaching directions, I’d use maps. Whatever the content of my English lesson, I’d try to bring relevant items for the students to interact with as they learn. And most important of ALL is to HAVE FUN! A fun and positive attitude is the key to effectively teaching English. Learning English is an on-going process of discovery for the students. For example, this could be done by setting up challenges and competitions among the students. Playing games that help students increase their vocabulary and expand their thinking. The most effective approach for teaching English is a well-balanced combination of diverse activities, use of real life scenarios and visual aids, group work, native English language samples and a fun, positive attitude. All these components need to be a part of every lesson and every teacher’s basic approach to teaching English.